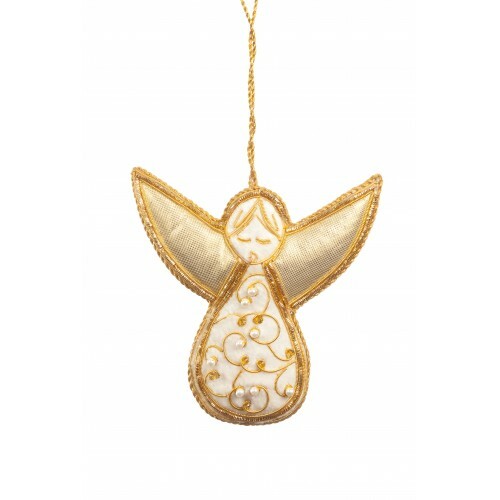 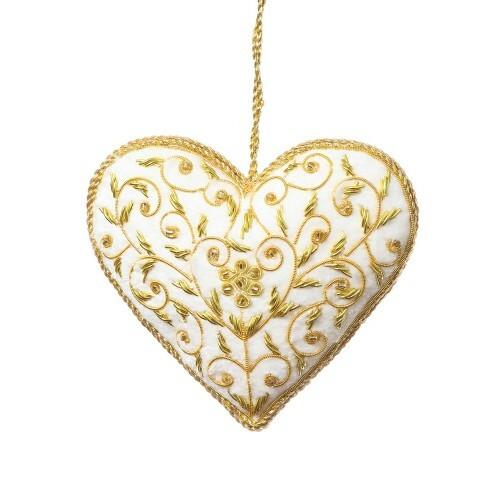 This beautiful white heart has a delicate floral pattern embroidered with gold metal thread. 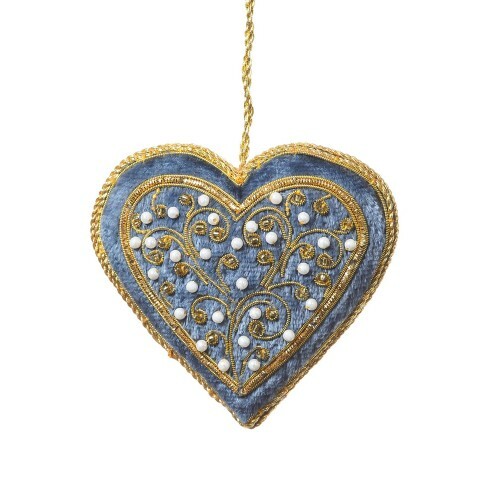 A beautiful wedding favour or thought for your loved one, and also a genuinely lovely addition to your Christmas festivities. 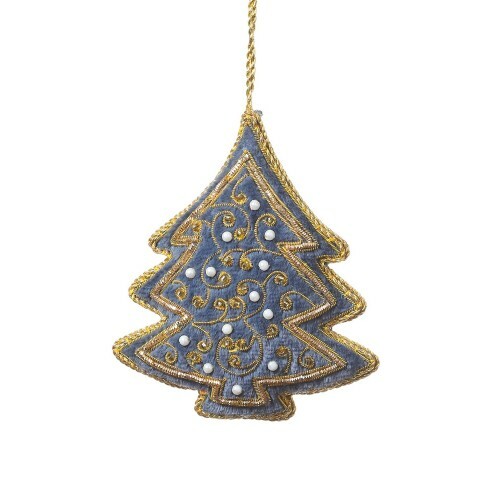 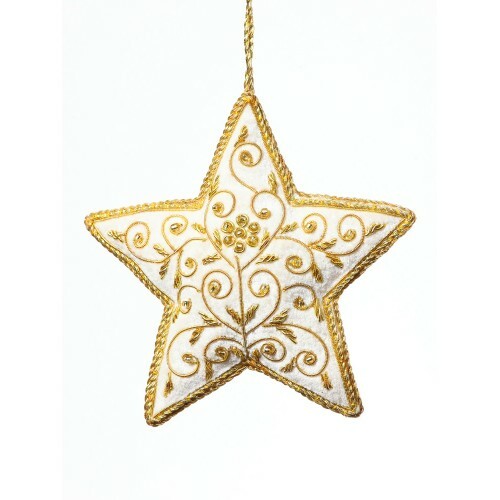 In luxurious velvet and with an beautiful floral pattern, this stunning Star decoration will be an e..